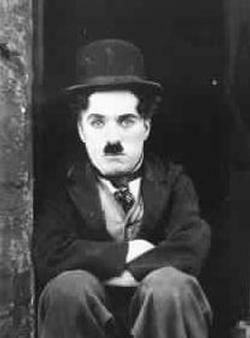 Baptized into the Church of England, though in life Chaplin was never religious. Nazi claims that he was Jewish were false. In particular, a 1934 propaganda leaflet called him a "disgusting Jewish acrobat", and another, Juden Sehen Dich An (The Jews are Watching You), called him a "Pseudo-Jew." See "Nazi propaganda book targeted Charlie Chaplin", London Telegraph, 29 February 2008. Monsieur Verdoux (11-Apr-1947) · Henri Verdoux, etc.